Home / About Gillette / Why Gillette? If your pediatrician or primary care provider has referred you to Gillette, it’s likely because your child has a medical need that’s more complicated than a typical childhood illness and requires specialized care. 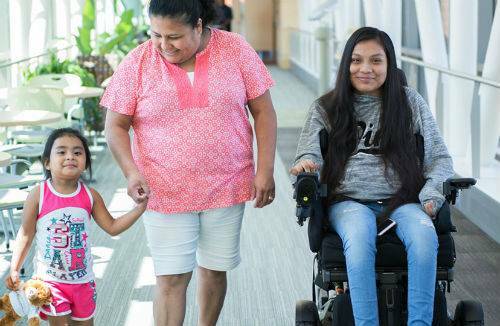 Whether your child needs long-term treatment for a chronic condition or disability, or short-term care to help them through an immediate health issue, Gillette is the right place for you and your family. Because we understand and treat the rarest and most complex musculoskeletal and neurological conditions, we’re the best at treating less severe cases as well. When you come to Gillette, your child will receive care from some of the nation’s top surgeons and physicians in numerous specialties. Our medical staff is internationally recognized for excellence in surgical, medical and rehabilitative care. Many of our specialists have completed pediatric fellowships, so they’ll have an in-depth knowledge of your child’s medical needs. 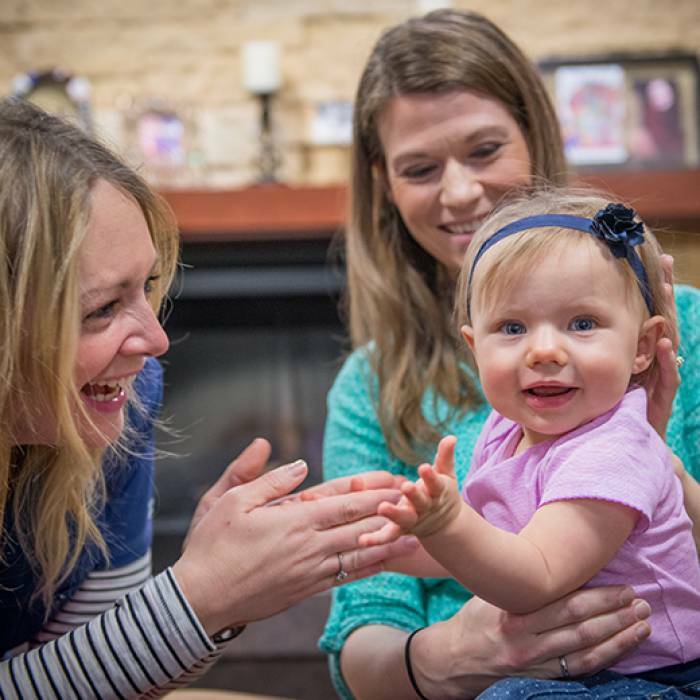 We structure our care model around your child’s needs, focusing on conditions such as cerebral palsy, muscular dystrophy, and rare genetic disorders such as Rett syndrome. 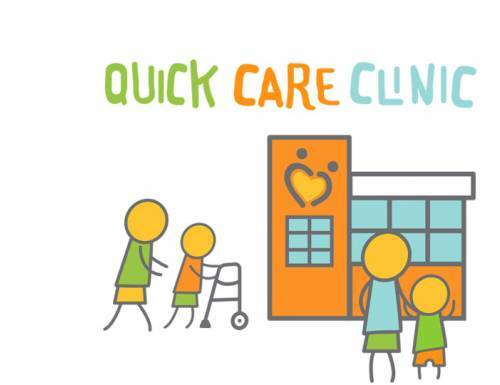 Our care model is clinically integrated, meaning that we bring together experts from many areas to take care of all of your child’s needs at once, often during one visit. We believe this care model helps your child achieve the best possible outcome. We serve patients who have conditions and disabilities affecting the muscles, bones, brain and nervous system. In addition to treating patients who require lifelong care, we also see patients who need short-term care for conditions such as fractures or concussions. 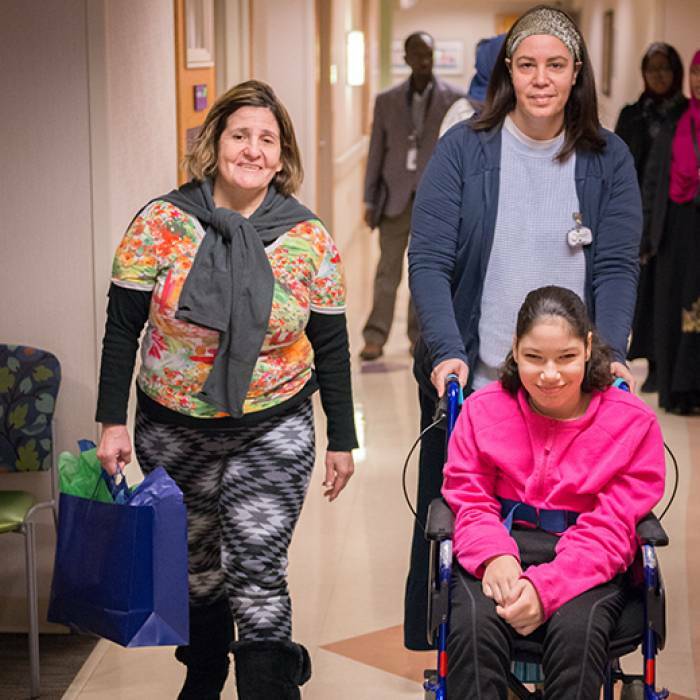 Although we don’t provide oncology care, we offer rehabilitation therapy for children who need to regain their strength and function following cancer surgery or treatment. 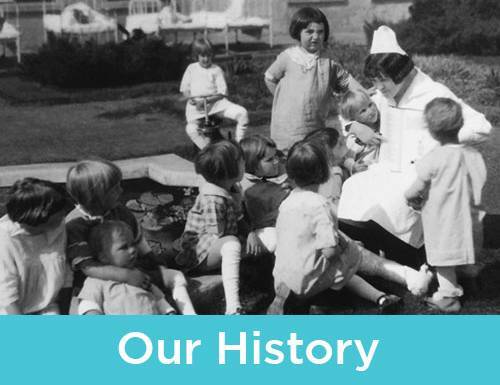 We focus on providing an exceptional depth of expertise, rather than trying to provide care for all pediatric conditions. For example, we have one of the nation’s largest concentrations of pediatric orthopedic surgeons and board-certified pediatric rehabilitation medicine specialists. As a result, our surgeons can focus on specific areas of the body—such as the hands or spine—and on highly complex procedures. If your child or teen needs rehabilitation care, our physicians will create a custom treatment program involving specialists from a wide variety of disciplines. Physicians from across the nation and world refer children to Gillette because they want the best care for their patients. 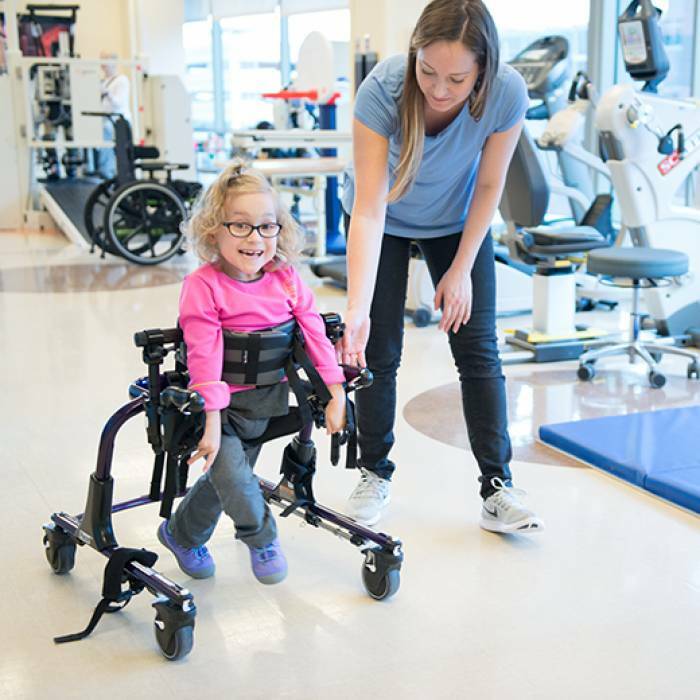 Gillette is known for excellence—particularly in the areas of cerebral palsy, gait and motion analysis, pediatric orthopedics, pediatric neurology and neurosurgery, and pediatric rehabilitation medicine. Our providers travel around the globe to speak at conferences, collaborate on research projects and teach the next generation of medical professionals. 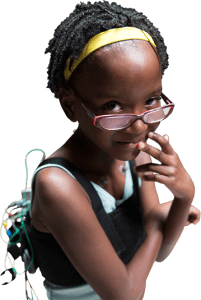 They also offer their skills and time to bring expert medical care to children in developing countries. Gillette sees more than 25,000 patients each year from throughout Minnesota, the U.S. and the world. You know yourself, your family and your child best. That’s why you and your family are truly at the heart of your child’s care team. We consult with you and consider your whole family’s needs when planning treatments and coordinating visits. 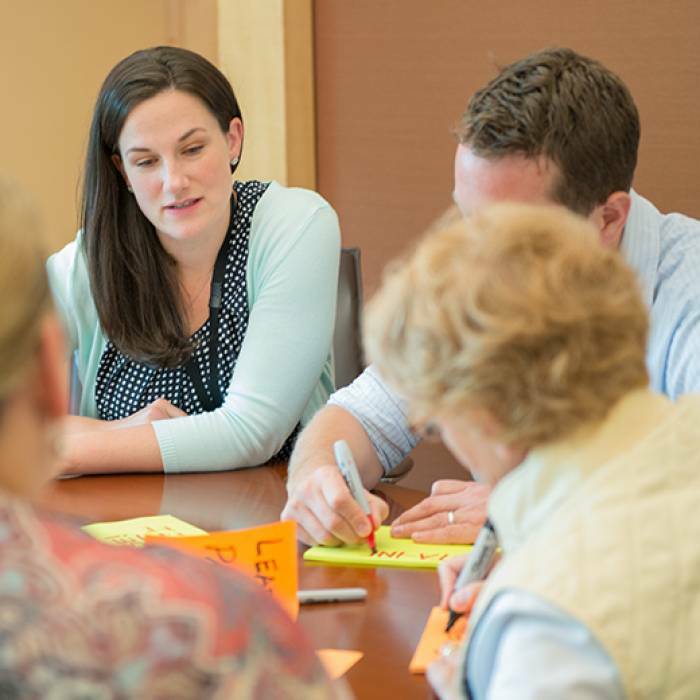 Our providers work in teams, combining the expertise of specialists in a variety of disciplines. 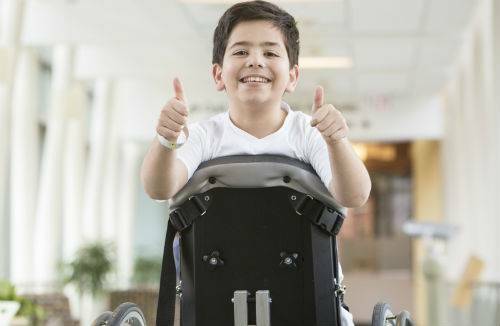 For example, if your child has a spasticity evaluation you’ll see an orthopedist, a neurosurgeon, a physical therapist and a pediatric rehabilitation medicine physician. We also offer the services of social workers, child life specialists and even on-site schoolteachers. Features like our Ronald McDonald Family RoomTM and other family-friendly amenities provide comfort and entertainment. We think this collaboration helps your child make the most of their abilities and live as independently as possible. 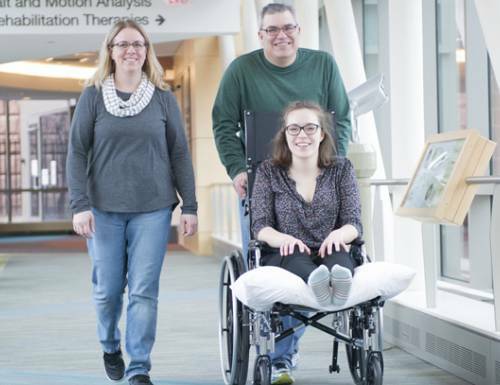 Complex medical conditions like cerebral palsy and spina bifida don’t end at adulthood. 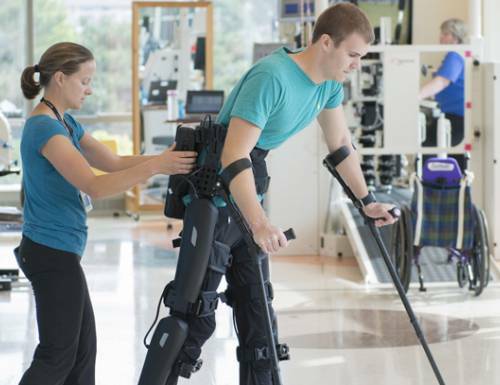 They require a lifetime of specialized care to help promote health and maximize independence. To ensure that your child will continue to receive high-quality specialty care throughout their life, we offer adult services for teens and adults who have many of the conditions we treat. We also support your family with transition services as you move from a pediatric model of health care to an adult model of health care. At Gillette you’ll find Minnesota’s first Level I Pediatric Trauma Center, operated in partnership with Regions Hospital. 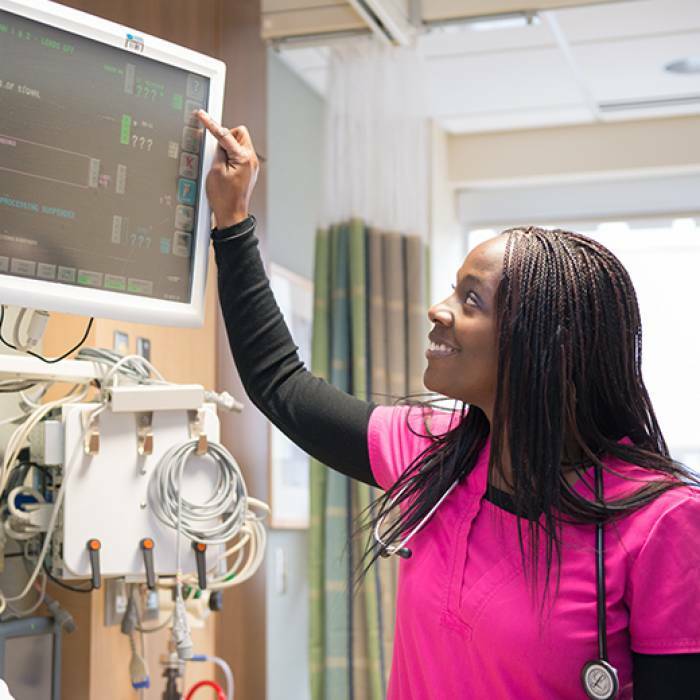 Our Pediatric Intensive Care Unit holds a gold-level Beacon Award for Excellence, the highest honor given by the American Association of Critical Care Nurses. 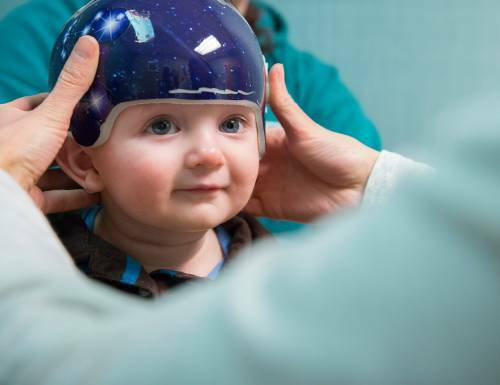 And we’re one of just eight pediatric specialty programs in the U.S. accredited by the Commission on Accreditation of Rehabilitation Facilities (CARF) to meet the needs of young children and adolescents seeking acute inpatient rehabilitation for brain injuries. 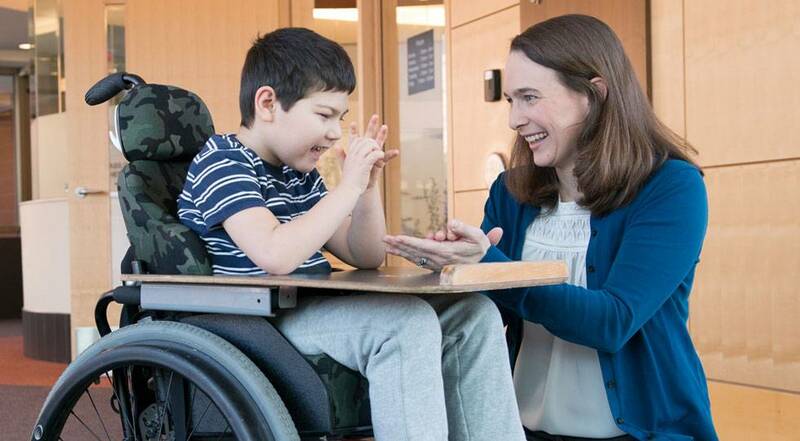 Gillette researchers—many of them physicians, nurses and other clinicians—are building knowledge that will improve the lives of children who have disabilities. 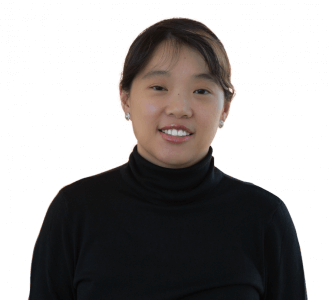 We’re investigating genetic causes and possible treatments for Rett syndrome. We’re studying how the care our cerebral palsy patients received during childhood has affected them as adults. We’re exploring new ways to slow or stall the progression of muscular dystrophy. We’re assessing and alleviating chronic pain in patients who are nonverbal. At Gillette, we’ve designed our spaces to be accessible and facilitate independence for people who have physical limitations. 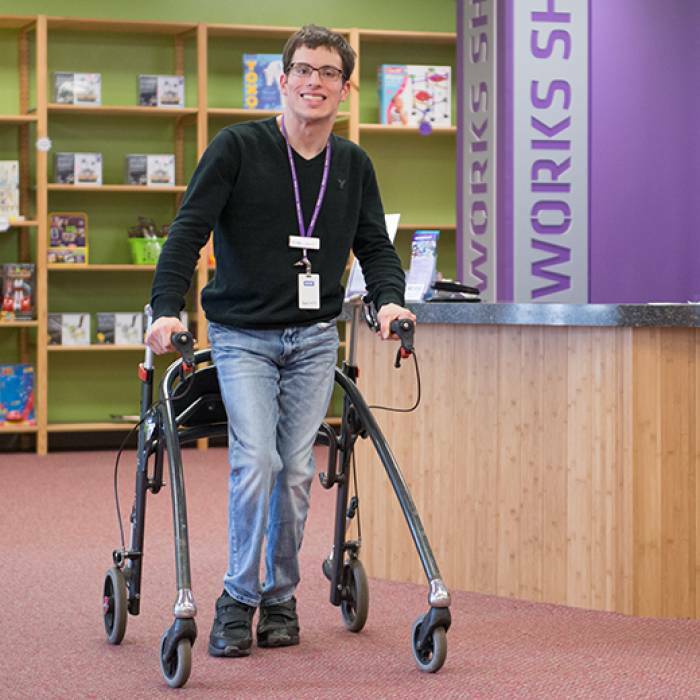 Examples include specialized lifts in our exam and testing rooms, wide doors and hallways, and accessible play areas. We also offer features that help promote healing and relaxation—including engaging visual distractions in many imaging rooms and surgical areas. 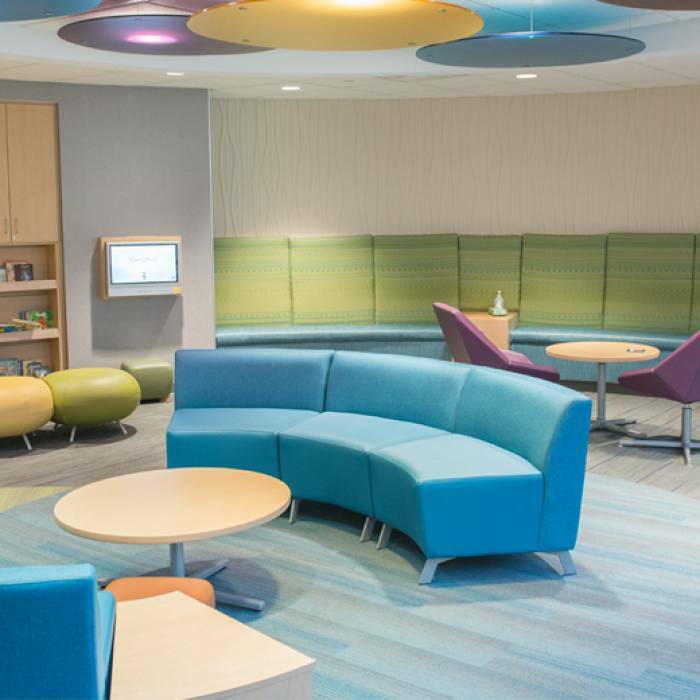 Our spaces are designed with comfort, independence and your child in mind.